Normal series since 1956. 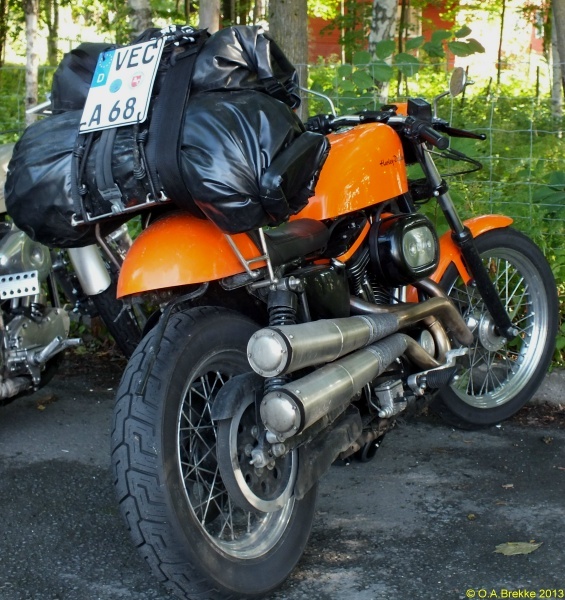 2011 onwards optional motorcycle plate style. UN = Unna. Normal series since 1956. 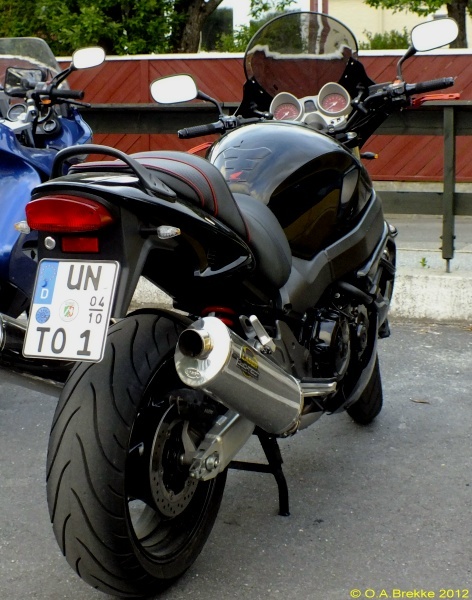 2011 onwards optional motorcycle plate style. KS = Kassel. Normal series since 1956. 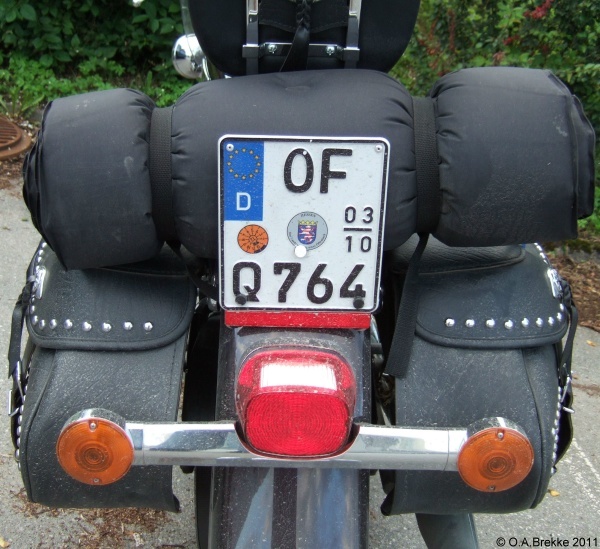 2011 onwards optional motorcycle plate style. HH = Hansestadt Hamburg. 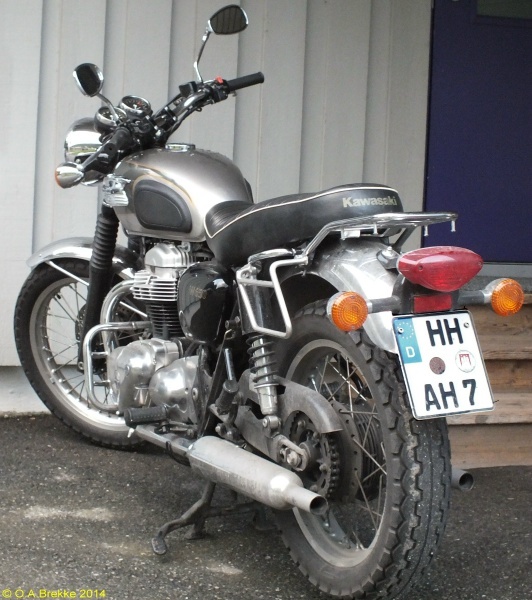 Normal series since 1956. 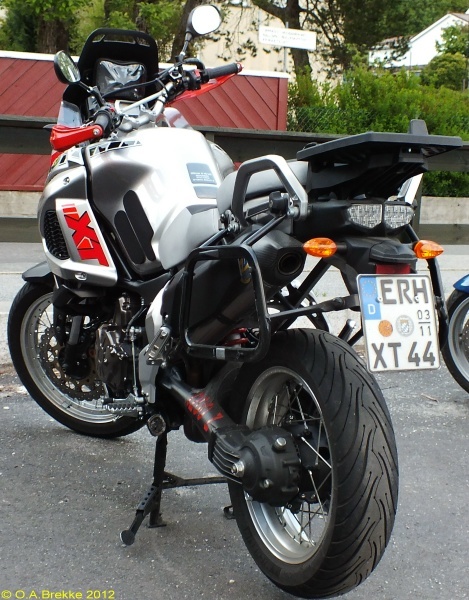 2011 onwards optional motorcycle plate style. 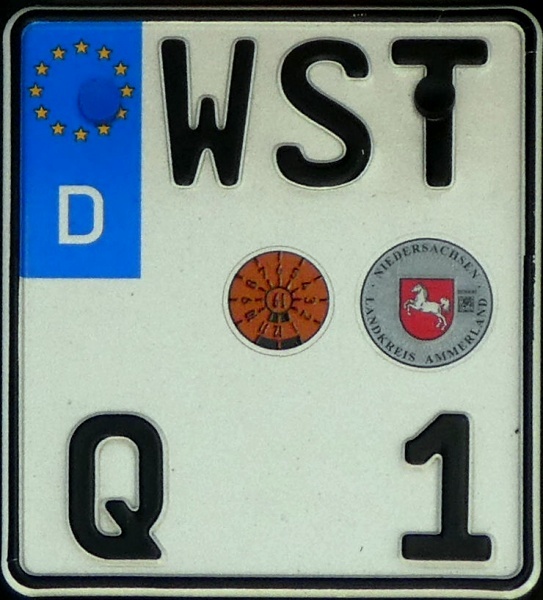 WST = Ammerland (Westerstede). Normal series since 1956. 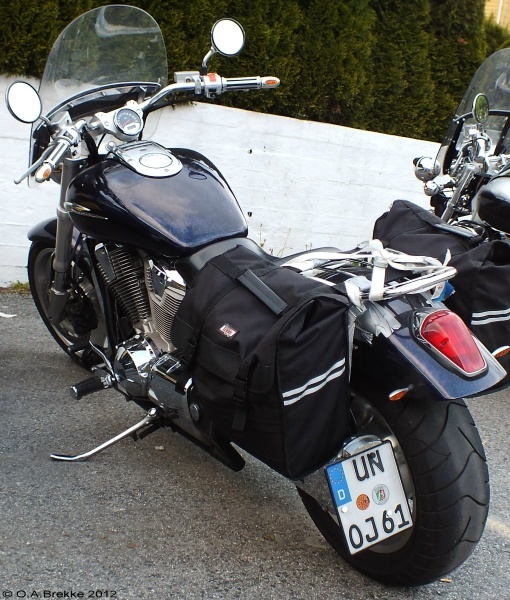 2011 onwards optional motorcycle plate style. 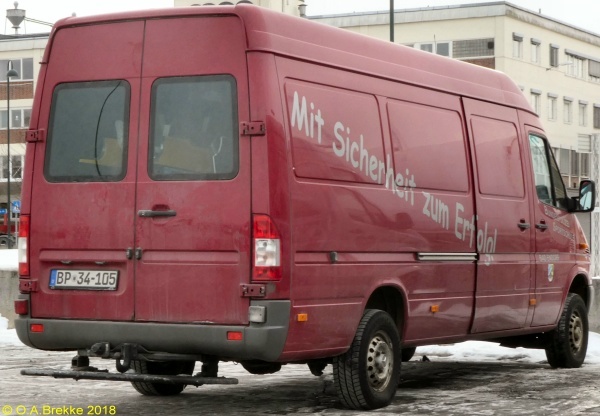 VEC = Vechta. Seasonal plate, since 1997. Registration from the normal series. 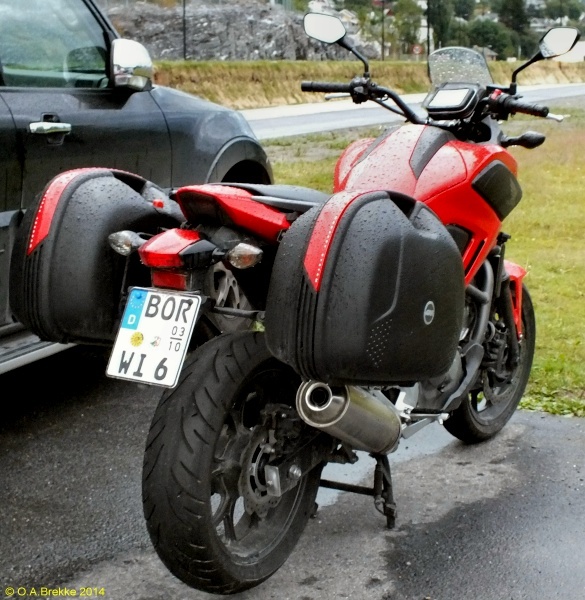 2011 onwards optional motorcycle plate style. 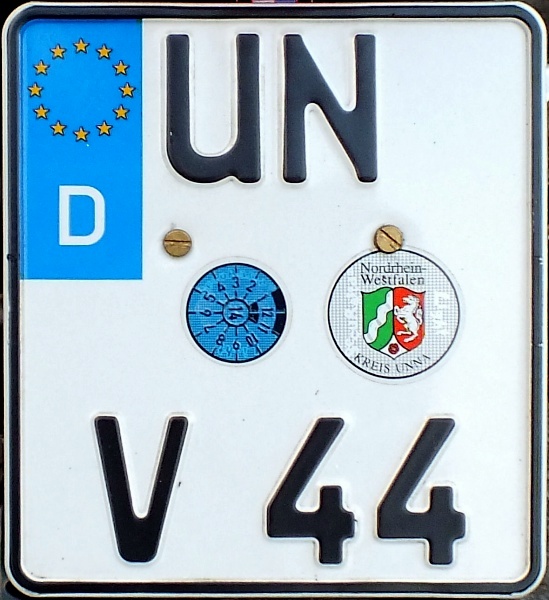 V = Vogtlandkreis (since 1996). Valid from April 1st until end of October. 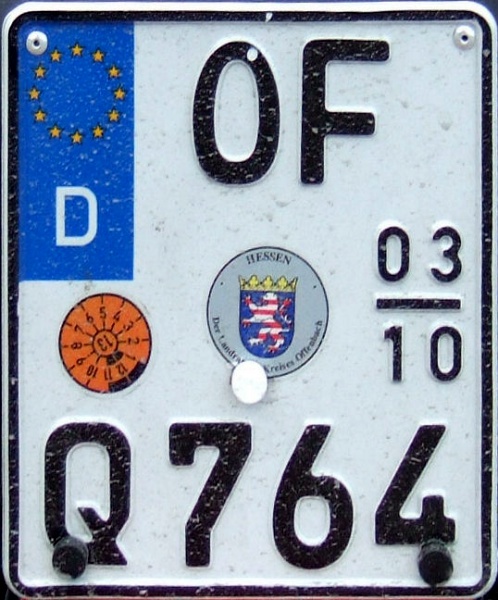 Seasonal plate, since 1997. Registration from the normal series. 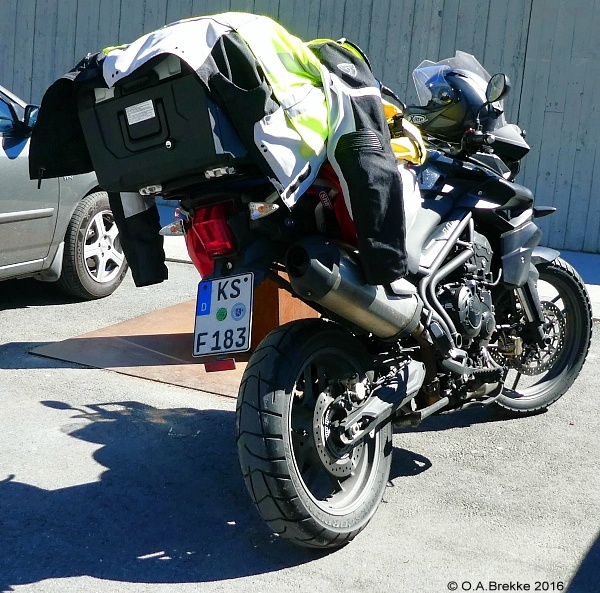 2011 onwards optional motorcycle plate style. 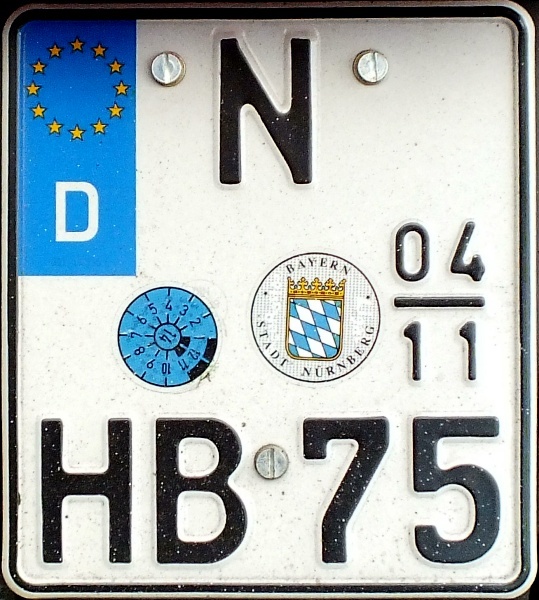 N = Nürnberg. Valid from April 1st until end of November. 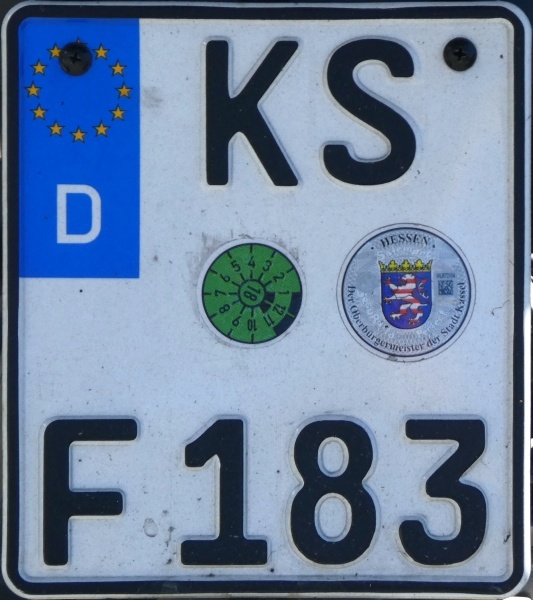 Seasonal plate, since 1997. Registration from the normal series. 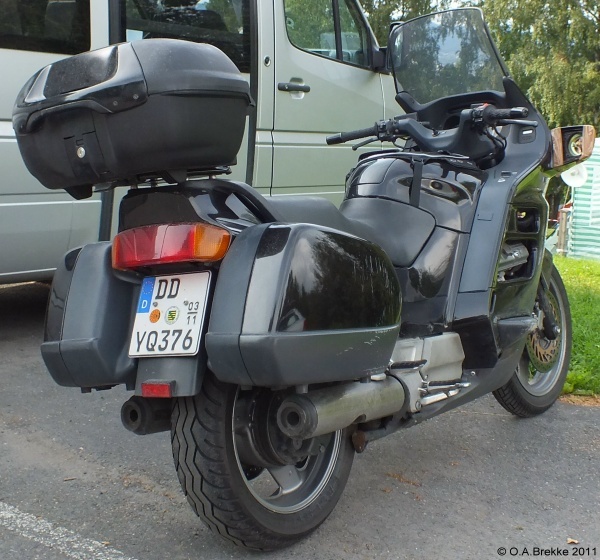 2011 onwards optional motorcycle plate style. 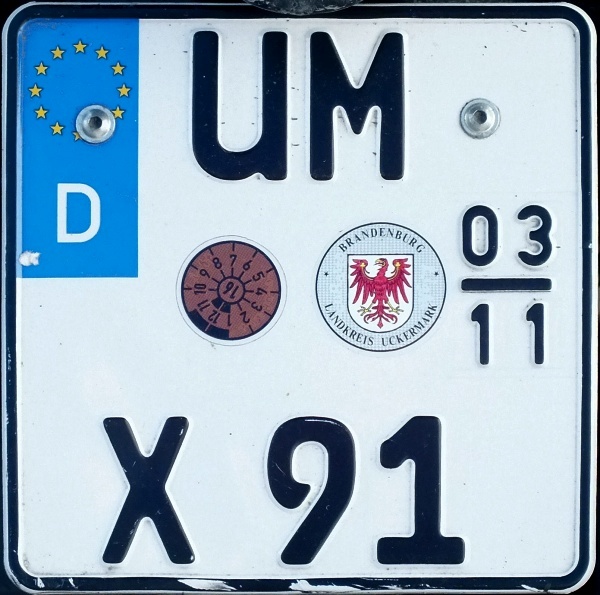 UM = Uckermark. Valid from March 1st until end of November. 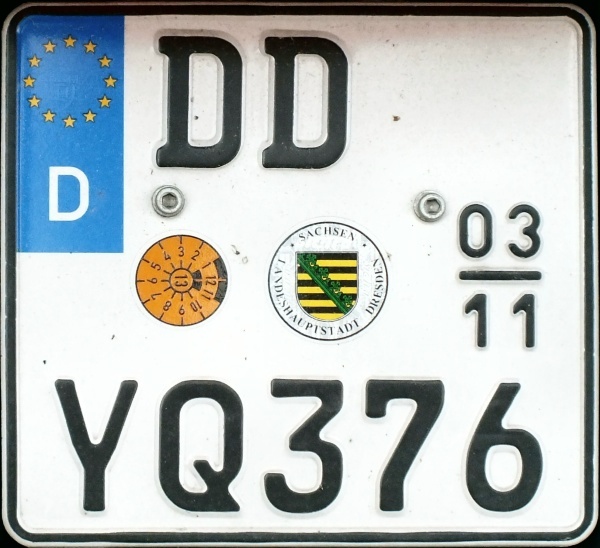 Seasonal plate, since 1997. Registration from the normal series. 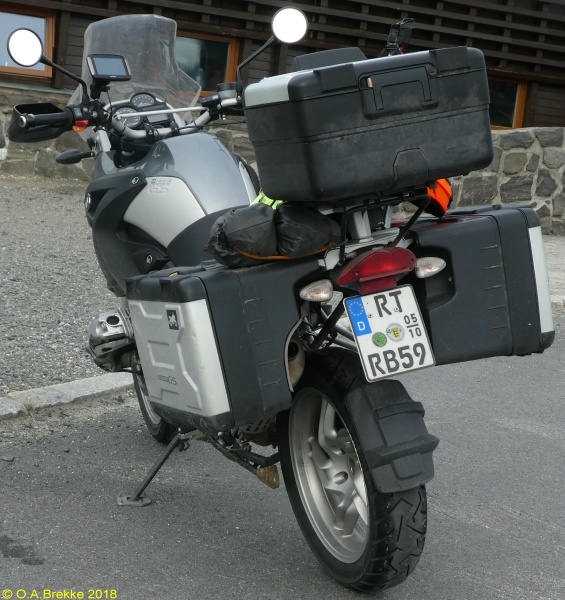 2011 onwards optional motorcycle plate style. 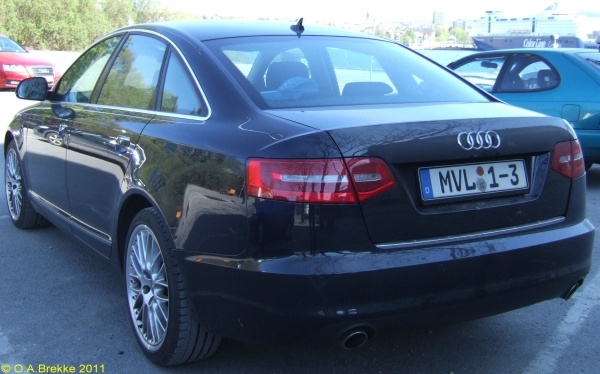 OF = Offenbach. Valid from March 1st until end of October. Seasonal plate, since 1997. Registration from the normal series. 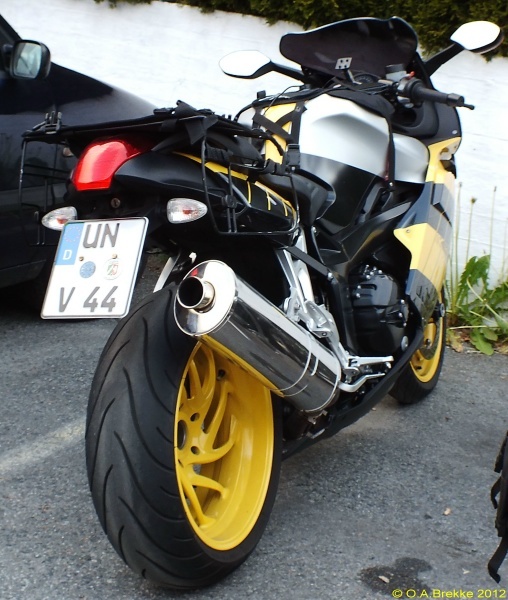 2011 onwards optional motorcycle plate style. UN = Unna. Valid from April 1st until end of October. 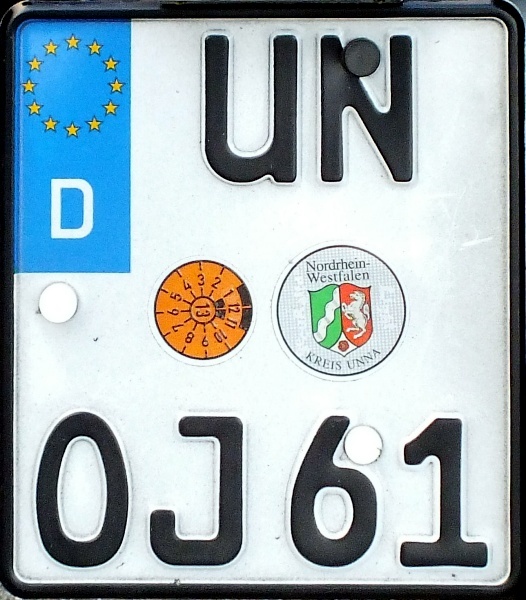 Seasonal plate, since 1997. Registration from the normal series. 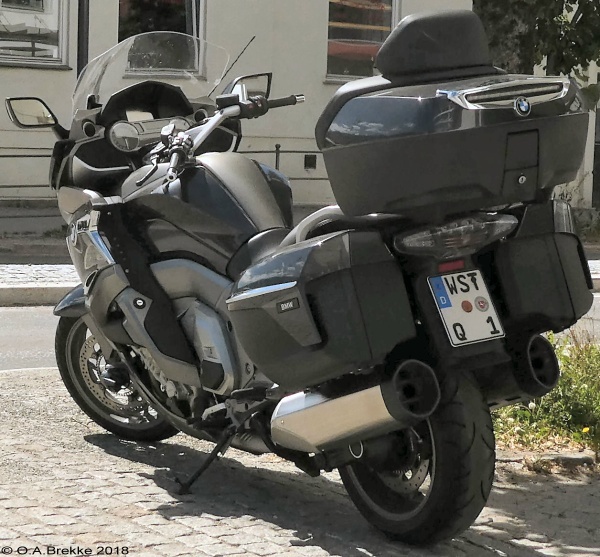 2011 onwards optional motorcycle plate style. RT = Reutlingen. Valid from May 1st until end of October. 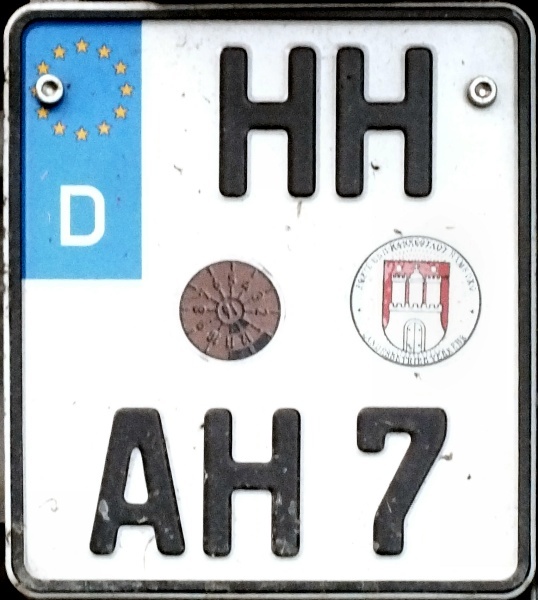 Seasonal plate, since 1997. Registration from the normal series. 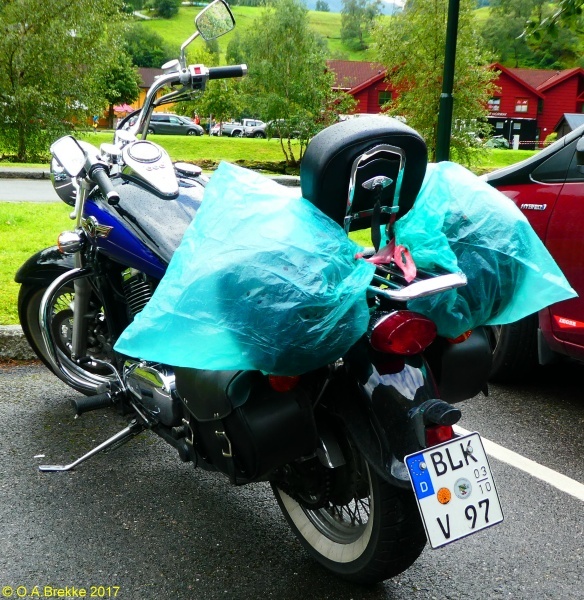 2011 onwards optional motorcycle plate style. DD = Dresden. Valid from March 1st until end of November. 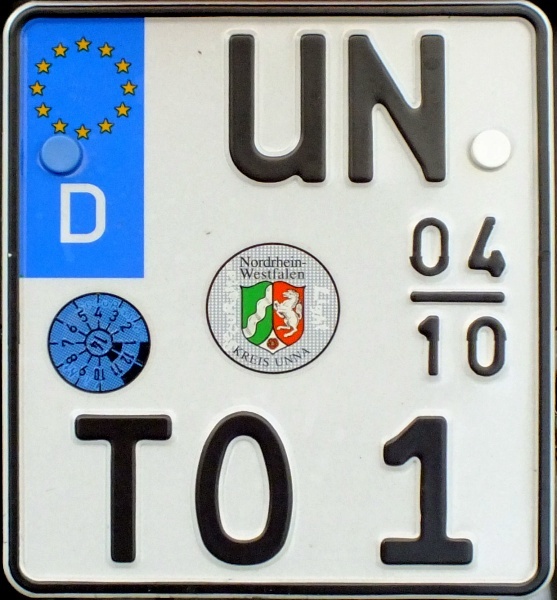 Seasonal plate, since 1997. Registration from the normal series. 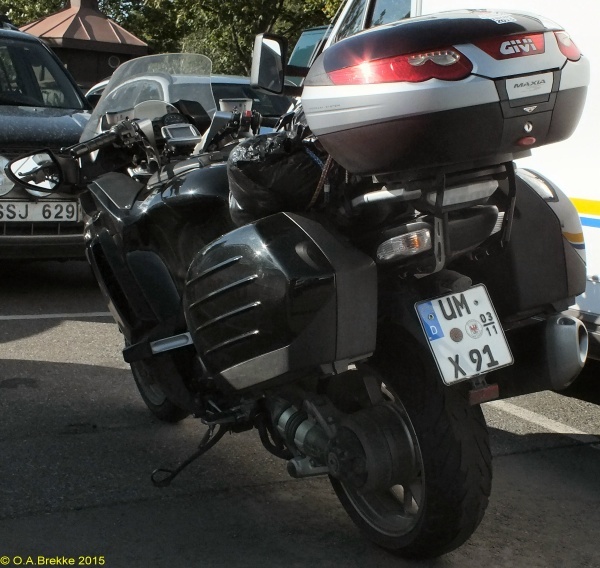 2011 onwards optional motorcycle plate style. BLK = Burgenlandkreis. Valid from March 1st until end of October. 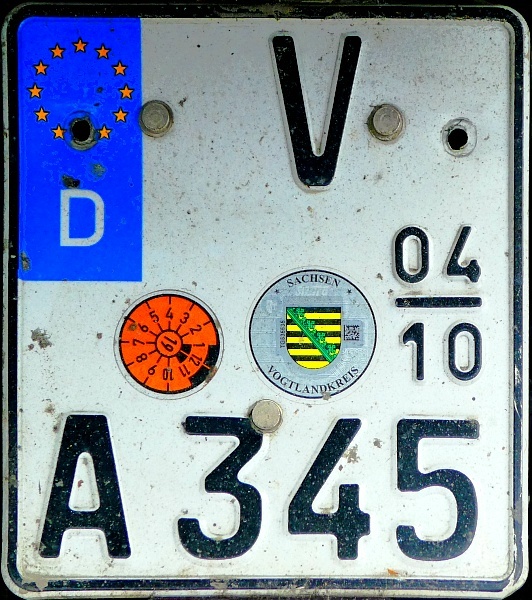 Seasonal plate, since 1997. Registration from the normal series. 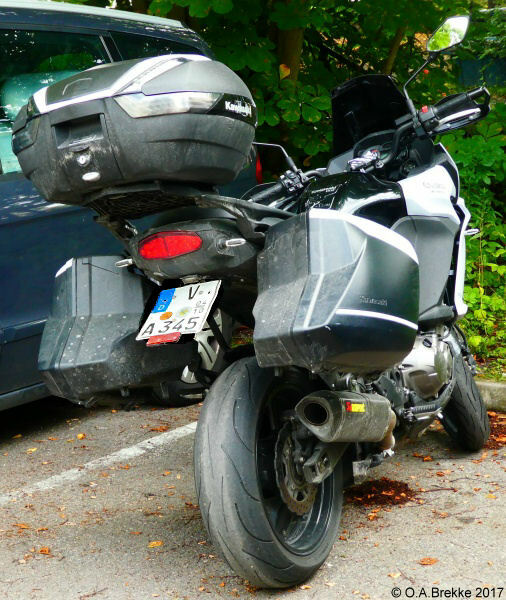 2011 onwards optional motorcycle plate style. BOR = Borken. Valid from March 1st until end of October. 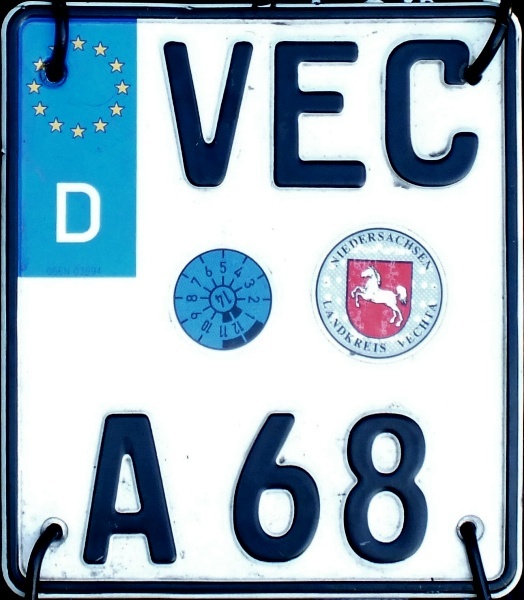 Seasonal plate, since 1997. Registration from the normal series. 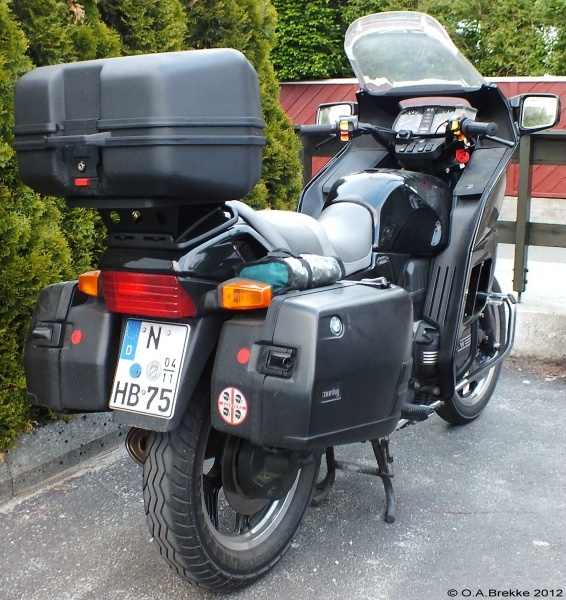 2011 onwards optional motorcycle plate style. 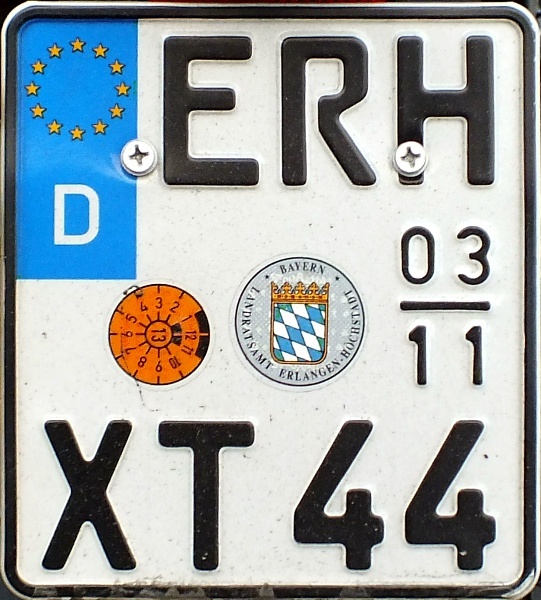 ERH = Erlangen-Höchstadt. Valid from March 1st until end of November. Provincial official series since 1956. 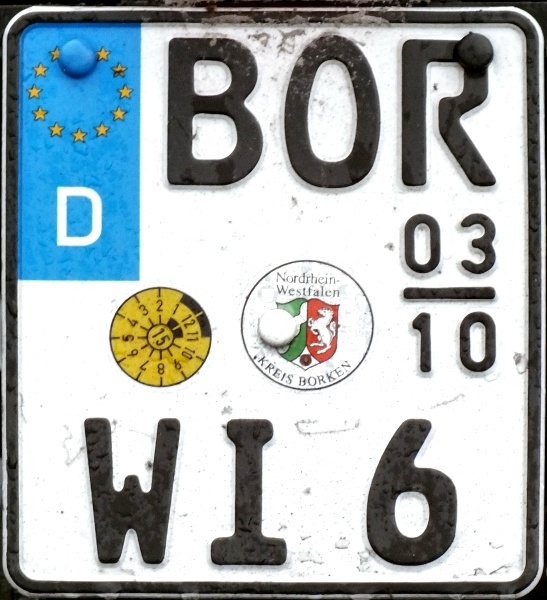 1995 onwards plate style. MVL = Mecklenburg-Vorpommern Land (since 1991). 1 = Legislative Body (Landtag). Federal official series since 1956. 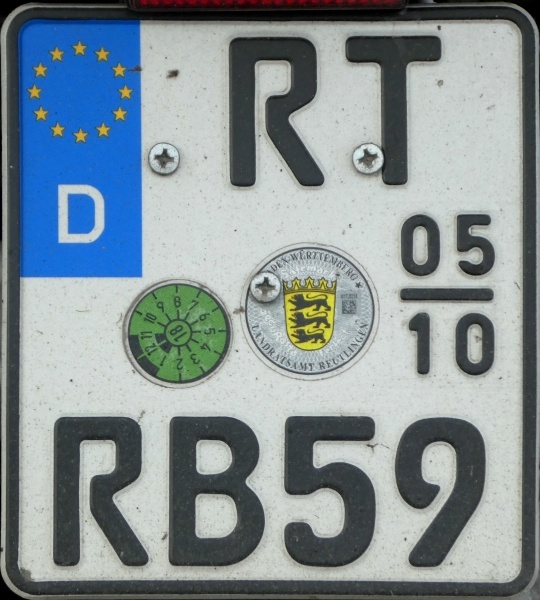 1995 onwards plate style. 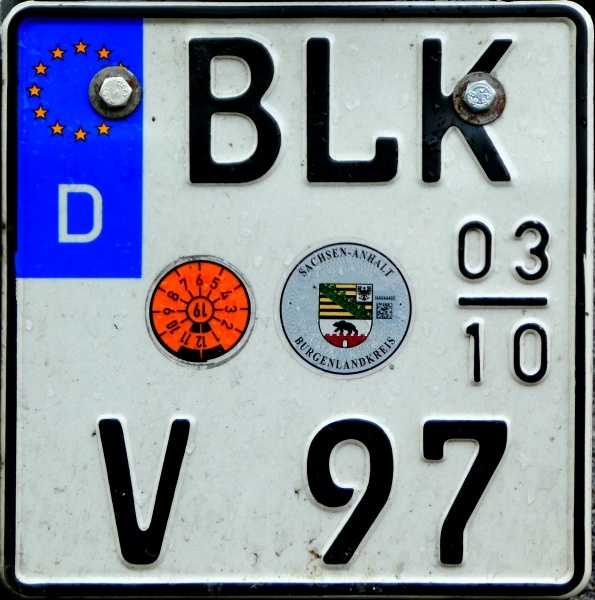 BP = Federal Police (Bundespolizei) (since 2006).